Three years ago, I wrote about the youngest child of Johannes and Jennie Zuijdweg. I explained that Grandpa had told me that Lucas, age 21, was a sailor and, in a tragic accident, fell on the anchor of his ship and was killed. Lucas was certainly a blue-eyed blond, like his sister, and looks remarkably like her and like Johannes, their father. Since I had been writing about Johannes recently, I thought it fitting to revisit his son’s death. On Zeeuwen Gezocht, I found the birth and death records of Lucas. I hoped to discover the cause of his death written on the documents. And here is the cropped version. Here is the death record. Again, here is the cropped version. Johannes Zuijdweg, announcer, and of Jannegien Bomhoff, his wife. And is immediately made up this record, which has been signed by myself and declarants after being read out. Unfortunately, there is no record of how Lucas passed away. Well, I wonder. What if there is a newspaper article? I guess I need to learn Dutch and then learn how to search for newspaper articles in Dutch papers! What does come to mind from this document is wonder that an undertaker was with him when he died. What in the world? Since Grandpa said this was an accident, I wonder in what bad shape Lucas was in and if he was taken, still alive, to a morgue? How can that be? And Hubertus van Liere might not be a relative, but of course, the daughter of Johannes and Jennie–Lucas’ sister–would marry Marinus Van Liere in 1900. Also, it states that Johannes was an announcer. He has also been a crier in past records. But mainly he was listed as a merchant. So he was an announcer when Lucas died and a few months later, when he was sentenced, he was a merchant again? How did he accomplish these two occupations? According to Dutch genealogist, Yvette Hoitink, there aren’t many Dutch graves on Findagrave. She suggests begraafplaatsen, which are the Dutch graves that have been put online. Lucas is not listed, and they are still looking for volunteers to photograph graves. I am not even sure how to find out where he is buried. The more I peer into the past, the more I feel like Pandora. In addition to discovering wonderful information about my ancestors, sometimes I discover sad, tragic, or even disturbing events. 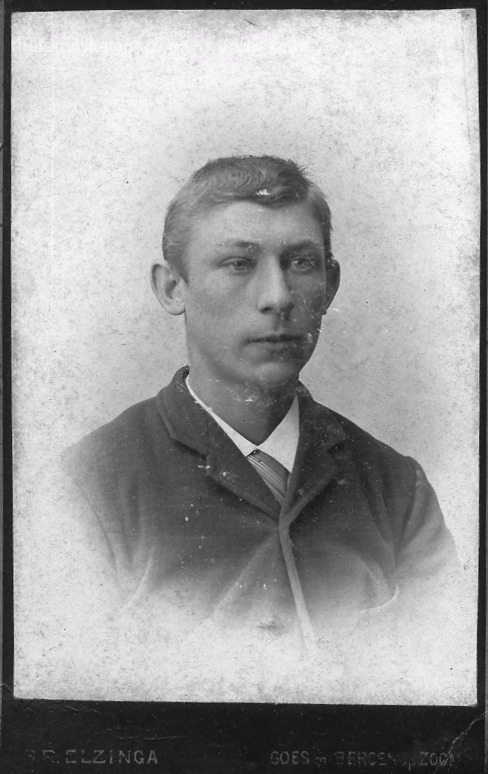 For instance, I have found out more about the sentencing of my great-great-grandfather Johannes Zuijdweg (Zuidweg). Unfortunately, what I discovered is not positive. Here it is cropped a bit to make it easier (thanks for the idea, Amy!). His entry is the third down on both pages. According to this document and the kind translators on Facebook, Johannes did serve two months in jail for theft, from July 15 to September 13, 1895. Imagine how Jennie felt. She had just lost her youngest child (of three) to a gruesome accident and now, a year later, her husband was serving time in jail. Everyone in their neighborhood and at their church must have known. I don’t know if I will ever discover what was stolen or what the situation was, but I will always believe that the death of Lucas had something to do with it–given that death, the older age of Johannes, and his otherwise respectable history. I’ve sponsored Johannes’ memorial at Findagrave. You can find it here. I discovered that someone had posted an obituary for him on the site. Since the paper had apparently misspelled two names, I put a note explaining what the spelling should have been. Note:Johanius should be Johannes. Marleilus should be Marinus. I was sorry to see that Johannes suffered a long illness before he passed away. However, when I look at the death certificate, his illness appears to have been 20 days. The cause of death was broncho pneumonia. I wonder if he had another illness that then turned into pneumonia.